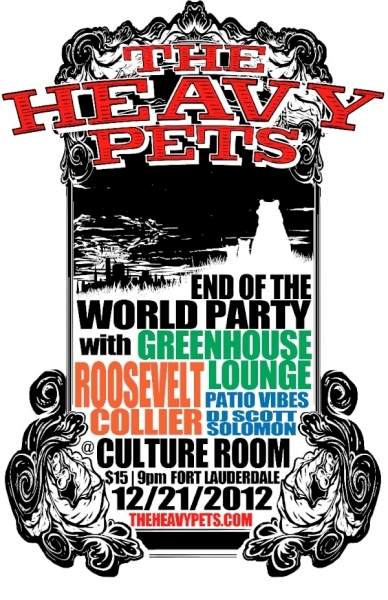 The Heavy Pets will be throwing a hometown End of the World party on Friday, December 21st at the Culture Room along with their friends Greenhouse Lounge. If we’ve only got one more night, why not throw the funk down! Earlier this month, The Heavy Pets released the Everywhere Sessions: Volume 1 EP for free download. Recorded at the AURA Music Events studio in Boca Raton, the three-song EP features “Chew,” “Help Me Help You” and “The Day the Sun Forgot to Rise.” It is available for free download.